Prior to the 1890s, Chestertown's Fountain Park was home to the town's market house and armory. 419 miles from Chesapeake City to Crisfield on country roads along the bay's edge and part of the Great Chesapeake Bay Loop. The lifestyles and livelihoods of generations of watermen, shipbuilders and farmers have been shaped by an unspoiled landscape that, even to this day, makes it easy for visitors to imagine earlier times when goods were shipped to “faraway Baltimore” in wooden barrels lashed aboard schooners. The pace of life is slower here. Charming small towns are often accessed by boat as well as car. Popular pursuits include biking, kayaking, enjoying the cultural scene in arts communities and dining on some of the nation’s best seafood. 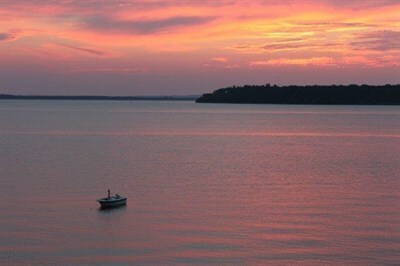 Travel this byway to explore the Great Chesapeake Bay Loop, your key to Chesapeake adventures. From Chesapeake City, you can look out over the 14-mile-long Chesapeake and Delaware Canal to see modern-day ships dwarfing Victorian homes and shops along the banks. The C&D Canal Museum captures the history of the 165-year-old waterway. Head south along winding roads that lead past spectacular scenery. Then, as you enter Cecilton, plan a stop at Crystal Beach, a summer town on the Elk River that is popular with swimmers and anglers. 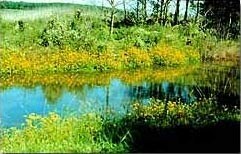 Nearby is the Stemmers Run Managed Hunting Area, which, outside of hunting season, is known for its hiking and fishing. A side trip reveals the graceful beauty of Mount Harmon Plantation in Earleville. This 200-acre Colonial plantation, featuring an antiques-filled manor house museum and walking trails, is on a peninsula surrounded by the Sassafras River. Across the river is Georgetown, which the British burned during the War of 1812 but has been rebuilt and is a popular place for dining and entertainment. Continue toward Galena and on to Kennedyville, incorporating a stop at the Kent Museum to see displays of antique tractors, horse-drawn sleds and household equipment. Sidetrack to the town of Betterton, a beach resort that still boasts fine examples of Victorian-era architecture. Back on the byway, farms glide by as you head to Chestertown, a Colonial port that is home to Washington College, founded in 1782 and named for its patron, George Washington. Among the elegant brick town homes in the city’s historic district, you can take a horse-drawn carriage ride and enjoy concerts in the square. Veer west to Rock Hall, which has more than a dozen marinas offering mooring and charter services. The town also prides itself on excellent seafood dining, an ice cream shop dating back to the 1920s and a small, maritime-oriented museum. The Eastern Neck National Wildlife Refuge, an isolated ecosystem with nesting bald eagles and extensive hiking trails, is just to the south. The area that extends from Chestertown through Centreville and into Queenstown is famous for its large number of fine antiques shops. But you can also find bargains on name-brand items at Premium Outlets. Along the way, make a stop at the Museum of Eastern Shore Life to admire an eclectic collection of artifacts ranging from a log canoe to early hand tools. Grasonville invites you to get back to nature at an environmental center surrounded by prime hiking, canoeing and birdwatching trails. Then stretch your legs some more after crossing over to Kent Island, where the Cross Island Trail extends for six miles from Terrapin Nature Park to the Kent Narrows. For an unmatched view of Georgetown Harbor, dine on the deck at the Kitty Knight House. Miss Kitty Knight is credited with saving part of Georgetown from burning by British soldiers during the War of 1812. Farm stands and agritourism attractions are a staple of the drive along the Chesapeake Country Byway. Crow Farm and Vineyard, between Kennedyville and Galena, includes a farmstay B&B, local wines and grass-fed beef. The Chesapeake Bay Environmental Center offers educational experiences, hiking, kayaking, paddleboarding and birding. The Oxford-Bellevue Ferry takes passengers, cyclists and cars across the Tred Avon River. From Bellevue, St. Michaels is a pleasant 7 mile bike ride or drive. Tilghman Island offers skipjack cruises, gracious inns and bed and breakfasts, and fine local cuisine. Though 419 miles in its entirety, this byway can be divided into Upper Eastern Shore, mid-shore and lower-shore sections for daylong excursions. 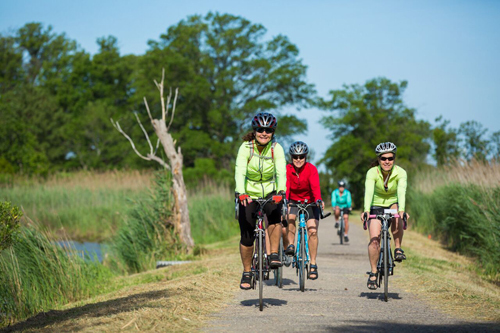 Bring your bike or kayak, and also take advantage of bed-and-breakfast accommodations in charming shore towns. This area, with its bayside beauty and more than 350 years of history, inspired James Michener to write the epic novel Chesapeake. In Easton, the restored, art deco Avalon Theatre hosts nationally known performing artists, while crafters display their wares at nearby specialty shops. You can also tour a winery, get a taste of the dining scene or enjoy outdoor activities ranging from hiking and canoeing to championship golf. St. Michaels, a former shipbuilding center now popular among pleasure boaters, features the Chesapeake Bay Maritime Museum with its working boatyard and restored 1879 lighthouse. A short drive away is Tilghman Island, which offers skipjack cruises and fine local cuisine. Head to Bellevue, where a historic ferry crosses the Tred Avon River to reach Oxford, another boating town with its own museum. Also in the area are the Colonially captivating town of East New Market and the tiny fishing village of Secretary. Bike routes throughout the flat land have wide-open country views. The Harriet Tubman Underground Railroad National Scenic Byway begins in further south Cambridge, which has an active arts scene and a large maritime museum. Natural splendor is found at sites such as the Blackwater National Wildlife Refuge, which hosts the East Coast’s largest nesting population of bald eagles. From Vienna, known for its rich Nanticoke River and Chesapeake Bay legacy, this section of the byway has two travel options. One travels north to Federalsburg, where a scenic creek flows from the Idylwild Wildlife Management Area and winds through town. The other heads east toward the urban center of the region, Salisbury. History and culture mingle with a pedestrian-friendly shopping plaza, a museum of wildfowl art, minor-league baseball and a zoo. In Whitehaven, a rural village below Salisbury, the historic Whitehaven Ferry runs on the Wicomico River. Then, in Princess Anne, the 200-year-old, neoclassical Teackle Mansion rests among 300 Federal-style and Victorian structures. West of town, the Deal Island Wildlife Management Area is one of the state’s finest places to view ducks and geese. One of the southernmost spots in Maryland is Crisfield, famous for its local seafood, peaceful water trails and annual Hard Crab Derby. Cruises and ferries run from here to nearby Smith Island. Explore wild, scenic areas along the byway, including the Blackwater National Wildlife Refuge, Hooper Island and Elliott Island, after a stop within the Fishing Bay Wildlife Management Area, nicknamed “Maryland’s Everglades." The Chesapeake Bay Maritime Museum in St. Michaels includes a working boatyard that aims to pass fading maritime skills on to a new generation of shipwrights. Celebrated author James Michener wrote an outline for his novel Chesapeake in an Oxford tavern that won his heart with its succulent crab cakes.